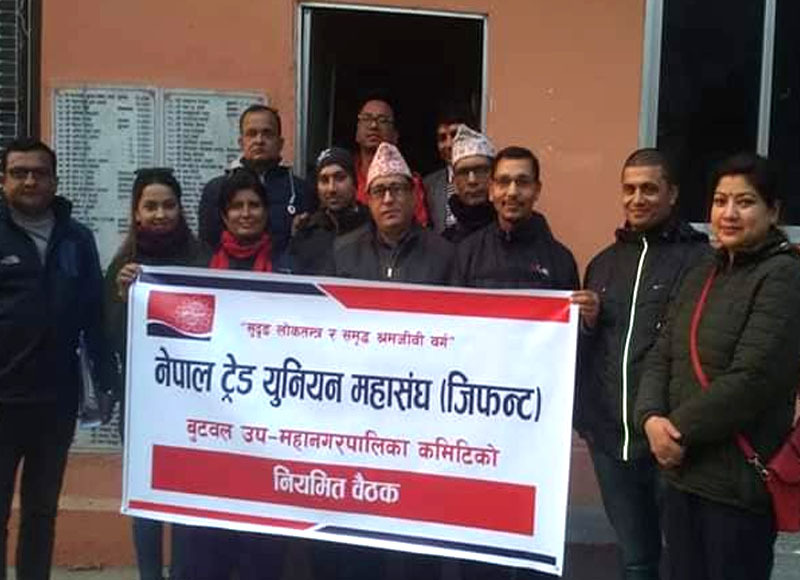 Kathmandu, The second meeting of GEFONT Butwal Sub-metropolitan Committee has concluded in Butwal. the meeting has decided to organize Butwal Sub-metropolitan level youth gathering on 23 February in Butwal. In the meeting, GEFONT Province No. 5 President Cde. Hari Bahadur Karki, informed about the GEFONT program, policy & structure passed by the seventh National Congress. He further said "GEFONT would be strong only if the affiliates union increase its members.